You know what you'd like to do, Pebeo helps you do it. With Porcelaine 150, you don't have to be a professional artist or even own a kiln - your kitchen oven is all that you need. 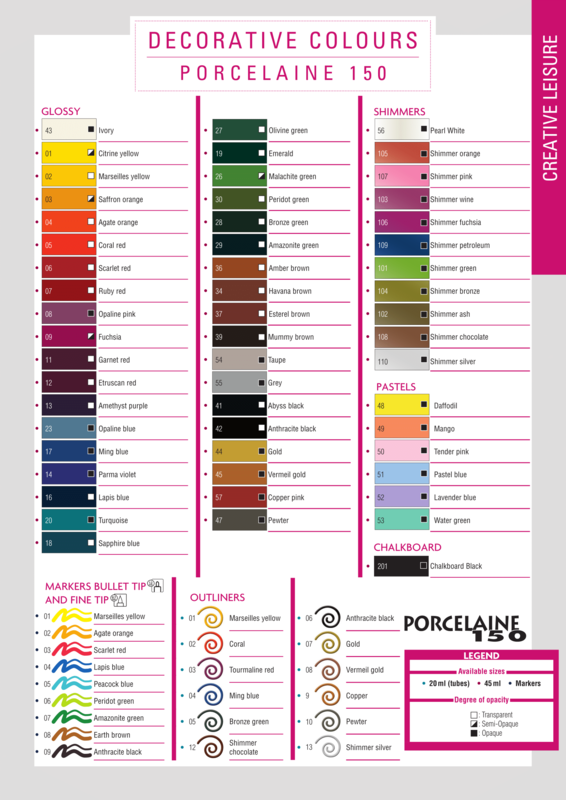 Easy to use, Porcelaine 150 lets you redecorate your household china in bright, cheerful colours. Turn cool summer china into warm winter painted pieces, to brighten up your home.